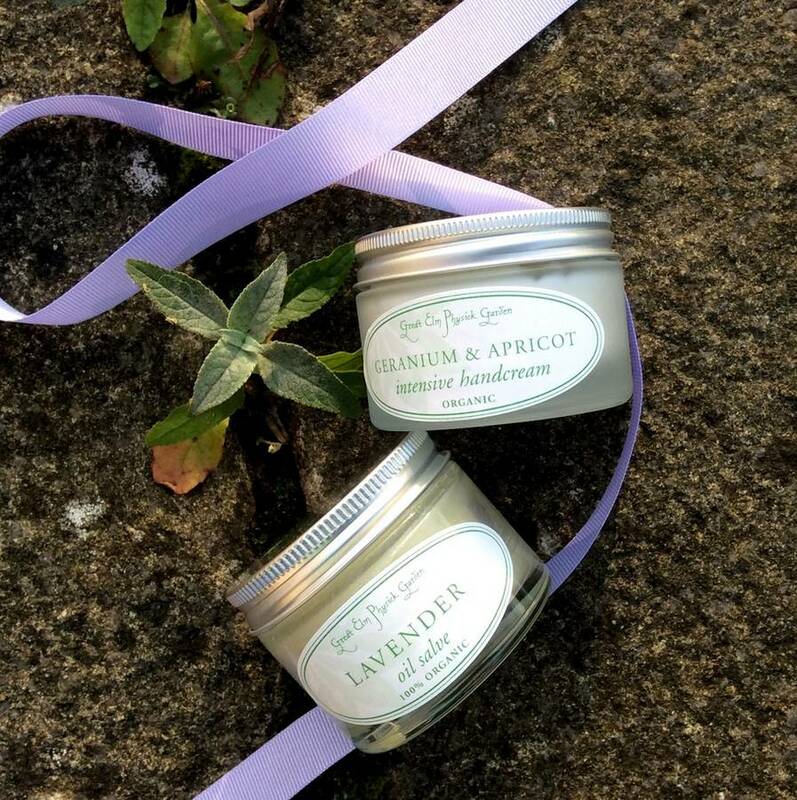 A gift pack of two jars of gorgeousness to soothe, soften, nourish and feed hard-working hands. To make them supple again AND smell delicious. Hard work and hard water can take its toll, never mind harsh handwashes. This is a great antidote, an aid to skin repair and simply delightful to use. One pot contains best-selling Geranium and Apricot Hand Cream, packed with apricot and blackcurrent seed oil with healing calendula. 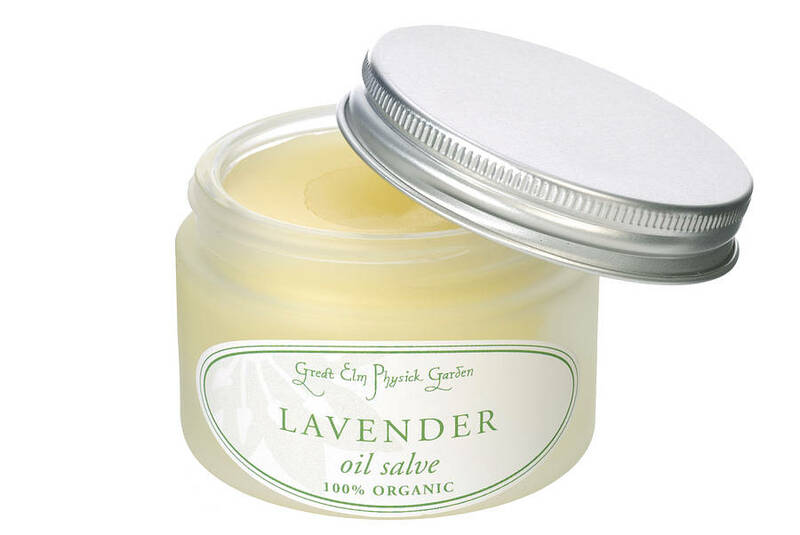 The other, 100% organic all-purpose wonder-balm, Lavender Oil Salve. A brilliant solution to finding something charming, pretty and useful. To thank your mum, a colleague, a teacher, a chum. It suits anyone who likes very good things. 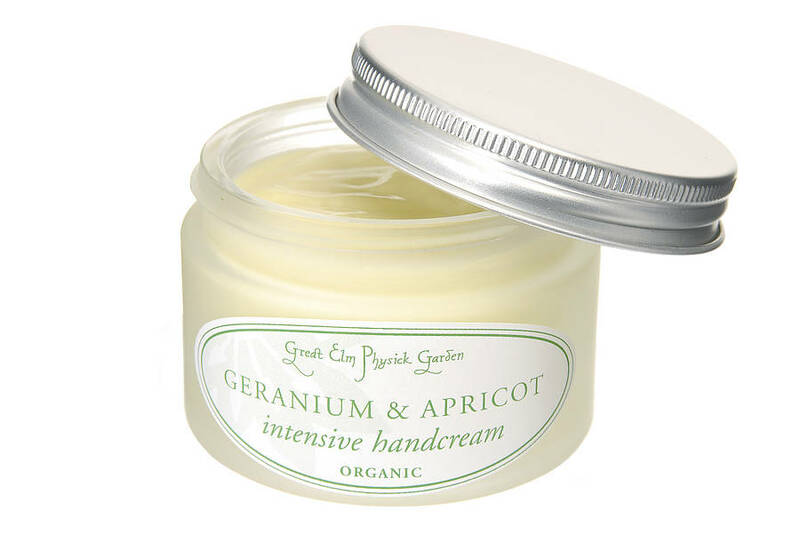 Geranium & Apricot Handcream - a Not OnThe High Street favourite - is rich, quickly-absorbed handcream, sweet-smelling geranium and a touch of lavender. 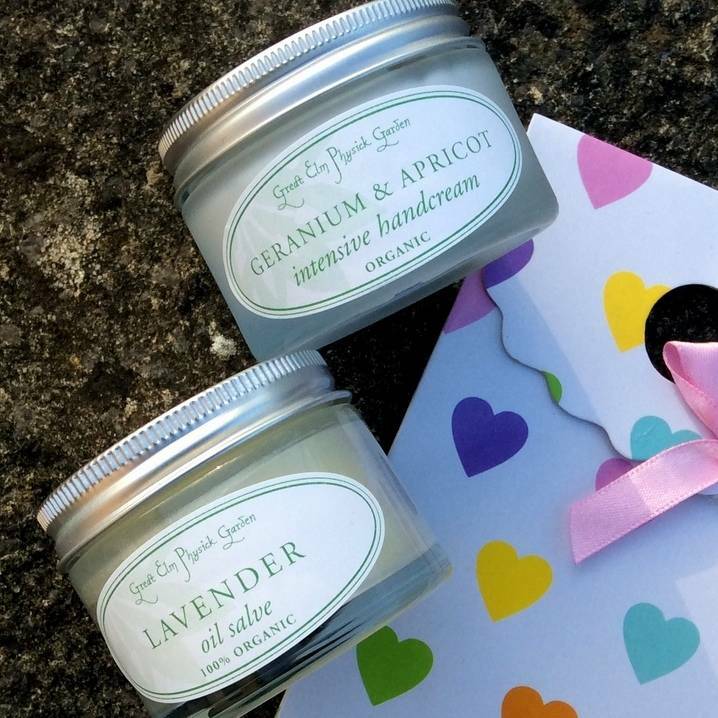 Together this pair can treat your hands and nails to perfection. After thorough cleansing with Great Elm's Rosemary & Soapwort handwash, work some of the Salve into your hands, paying attention to knuckles and nail-beds. Then apply a slather of handcream. Leave for five minutes.They will feel fabulous! Each pot is 50ml, glass with an aluminium lid. Packed in a card bag-box with heart print and bow (approx 16x10x2.5cm.